It’s a funny relationship that Arizona Basketball has with Illinois. On the one hand, we can’t shake the 2005 meltdown, a haunting game played in Chicago against the best University of Illinois team ever. Arizona lost that Elite Eight game, in over time, and hasn’t been to a Final Four since. 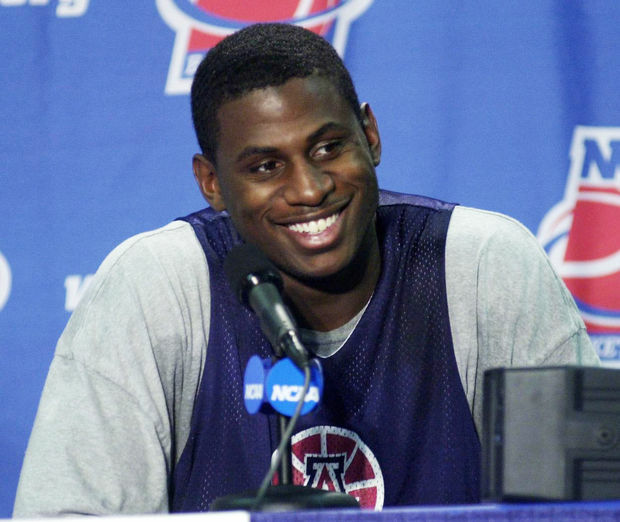 The state itself, however, has also provided Arizona such talents as Kenny Lofton, Andre Iguodala, and Michael Wright. Michael Wright passed away yesterday. Or maybe a few days before and the logistics of how, why, and who are still in the air. The traditional components of storytelling are now left to New York investigators and autopsies. We don’t know why Michael Wright died. And maybe it doesn’t matter. Because there’s likely to surface a few things that distract from how you remember him. He was my favorite player to ever don cardinal and navy. Maybe it started when Michael stepped over the baseline, Jason Terry’s career in the balances against Eduardo Najera’s Oklahoma Sooners, and that magical season came tumbling down. The freshman Wright turned the ball over in the waning moments of March Madness. He had 16 points and 12 rebounds in that game. A flawed hero, I suppose. Remember when he bullied what felt like all of Maples Pavilion to the game winning layup? Arizona 76, Stanford 75? That’s how you remember the guy, a crowd of bodies in the paint, a left hand elevating, two points. He delivered that win for Coach Olson two months following the passing of Bobbi Olson. Michael Wright was the best player on the most meaningful Arizona Basketball the school’s ever needed. And think about that. Michael joined the Arizona family with Richard Jefferson and Luke Walton. A year later Gilbert Arenas and Jason Gardner joined him. Loren Woods, too. Three seasons of Michael Wright provided us with a lot. Comically enough, his sophomore season ended with a loss, as a one-seed, to Wisconsin. Michael was my favorite. Perhaps it’s revisionist – so correct me as I’m wrong- but I remember the 2001 debate of undersized power forwards. There was Wright, of course. Arizona’s 6’7″ bully getting 16 and 8 each night (mind you, Loren Woods was getting 13 & 7 and Wright got 14/9, 16/9, 15/8 in his three year Tucson run). Conversely there was Michingan State’s 6’9″ Zach Randolph. It was the 2001 National Semifinal. Arizona won, 81-62. Whatever you know about Michael Wright – and what I know is 3 seasons in Tucson – I hope it makes you smile. We’re fans for those good times, to grin. While those losses? Well they can sting. Michael Wright’s loss stings. But I like to think while he played in Tucson, it made him smile. Loved it. Character shines! Heard Matt Muehlbach say that 91 team was our best ever.